Japan ordered its military on Friday to destroy a North Korean missile or its debris, if the launch fails and falling pieces of the rocket seem to imperil Japanese territory. 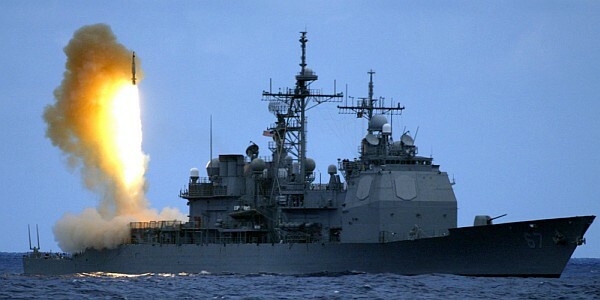 Japan ordered two destroyers equipped with Aegis anti-missile systems into the Sea of Japan, and said it would soon move Patriot land-to-air missiles to the country's northern coast. Japan explained that it was preparing for a possible accident, not for an attack. North Korea has notified groups around the world of its plans and has released details of its expected flight trajectory. Japanese officials said Friday that the likelihood of rocket debris falling on Japan is remote and urged people to remain calm. North Korean missile tests in 2006 alarmed Japan, which has invested heavily in American-made ballistic-missile defense systems. North Korea has 200 Nodong medium-range missiles that could hit anywhere in Japan, according to the Japanese Defense Ministry. As North Korea stacks a long-range missile on the launch pad, Japan is sending out two warships equipped with the Aegis Ballistic Missile Defense (BMD) system. The US Navy has 18 ships equipped with Aegis BMD and Japan currently has two. By the Missile Defense Agency's count, the operationally configured Aegis SM-3 interceptor has scored 7 hits in 9 intercept tests. In 2008 an SM-3 successfully shot down an errant US spy satellite. The Aegis Ballistic Missile Defense (ABMD) system uses the Standard Missile-3 (SM-3) manufactured by Raytheon. This is how it works. As the ship's radar acquires and tracks a ballistic missile threat, the ABMD system begins calculating the engagement solution. Upon command from the ship's weapon system, the SM-3 boosts out of the launcher and establishes radio communication with the ship. After MK 72 booster burnout, the MK 104 Dual Thrust Rocket Motor (DTRM) ignites. In-flight communications from the ship guide the missile toward the predicted intercept point. After MK 104 burnout and separation, the MK 136 Third Stage Rocket Motor (TSRM) ignites, propelling the third stage out of the atmosphere. Throughout its flight, the missile continues to receive in-flight target updates from the ship to refine the intercept guidance solution. The TSRM contains two separate pulses that can be initiated to optimize the engagement timeline. During flyout, the third stage pitches over and ejects the nosecone, exposing the SM-3 Kinetic Warhead (KW). After MK 136 burnout roughly 30 seconds before intercept, the SM-3 KW separates from the third stage and immediately searches for the target based on pointing data received from the ship. The KW acquires the ballistic missile warhead with its long-wavelength imaging infrared seeker. The KW's Solid Divert and Attitude Control System maneuvers the KW to enable a hit-to-kill intercept. As the KW closes on the target, it shifts its guidance aimpoint to ensure a lethal hit and destroys the target with more than 130 megajoules of kinetic energy. 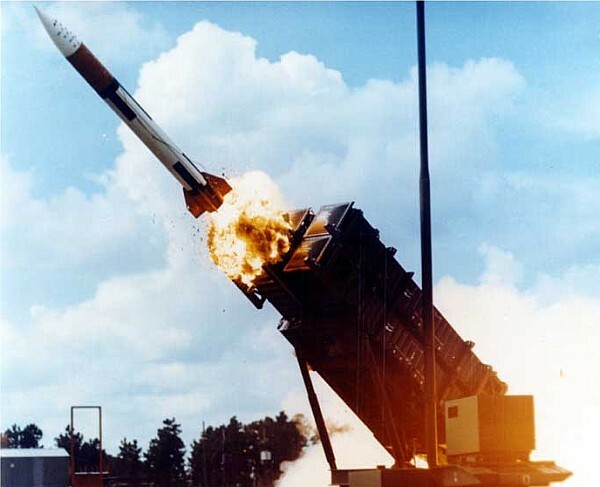 The Patriot missile system was originally designed to counter the air-breathing threat of the 1990s and beyond. The key features of the Patriot system are the multifunctional phased-array radar, track-via-missile guidance, and extensive modern software and automated operations, with the capability for human override. Patriot is the most advanced medium/long-range surface-to-air missile in the operational US Army inventory. The MIM-104 Patriot missile is launched from canisters, four of which make up the M901 launching station transported on an M860 semi-trailer. The missile is inertially guided with command updates, using TVM for high terminal accuracy. At the interception point, the missile's warhead is detonated by a radar-proximity fuze. The MIM-104A was powered by a single Thiokol TX-486-1 solid-fueled rocket motor, and armed with a high-explosive blast-fragmentation warhead. The MIM-104B featured modified guidance and navigation hardware and added a surface-to-surface capability against ground-based radar jamming sources. The most important changes to the system were made by the Patriot Advanced Capability (PAC) program. The PAC-1 modification was first fielded in July 1988. The PAC-2 upgrade included software changes and an improved MIM-104C missile. During Operation Desert Storm in 1991, PAC-1 and PAC-2 systems were used against Iraqi "Al-Hussein" (modified SS-1 Scud) SRBMs. The MIM-104D, also known as PAC-2/GEM (Guidance Enhanced Missile), featured a low-noise front end to increase seeker sensitivity and a modernized fuzing system to improve performance against ballistic missile targets. 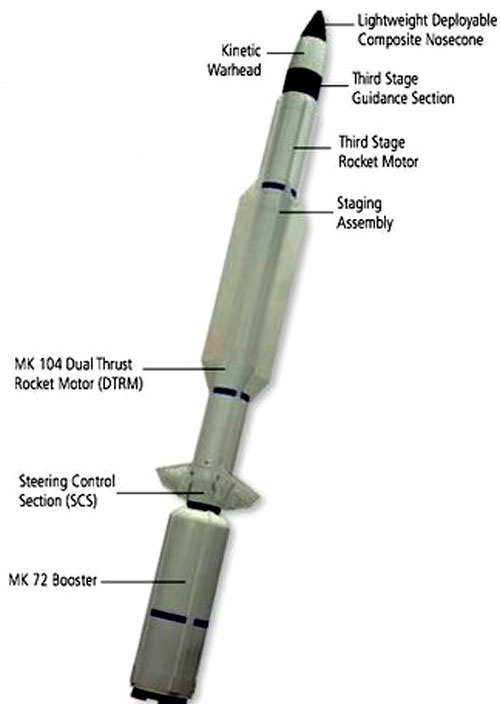 The MIM-104E was first delivered in 2002 and upgraded PAC-2 rounds by replacing the missile forebody. The PAC-3 system incorporated many changes to the ground equipment and the missile, and was fielded in three incremental steps. Configuration 1 incorporated changes to the ECS, a new pulse-doppler radar processor, and the MIM-104D missile. Configuration 2 included Link 16 JTIDS (Joint Tactical Information Distribution System) compatibility and radar improvements. Configuration 3 included upgrades to the radar to increase detection in high-clutter environments and to improve discrimination of closely spaced objects. The most important feature of the latest Patriot system is a completely new missile, a variant of the Lockheed Martin ERINT (Extended Range Interceptor). 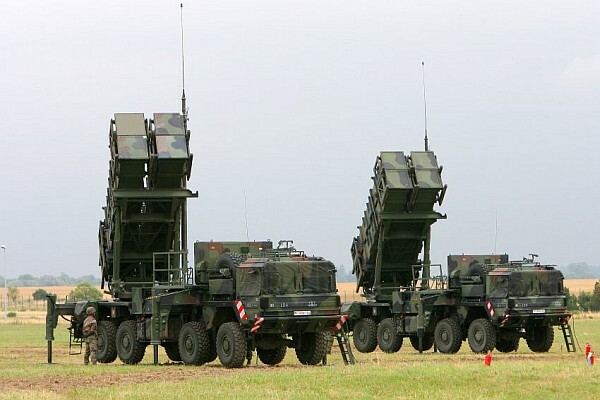 More than 12,000 Patriot missiles have been built so far. Raytheon Integrated Defense Systems (IDS) is the prime contractor for Patriot and is the Mission Systems Integrator (MSI) for the PAC-3 system. Iron Dome worked very well, better than expected. The system was designed to defend relatively small populated areas against quite primitive short-range rockets that travel 15 to 25 kilometers. The speed of the Hamas rockets is in the range of 500 meters per second. Scuds that can travel 600 kilometers are traveling at 2,200 meters per second. An ICBM is traveling at 7,000 meters per second. Two rockets launched by Hamas had a range of about 65 kilometers. That gets you to the outskirts of Tel Aviv. I understand that one of these rockets was shot down. The other one they didn't try to shoot down because it was going to fall in a place that was not populated. 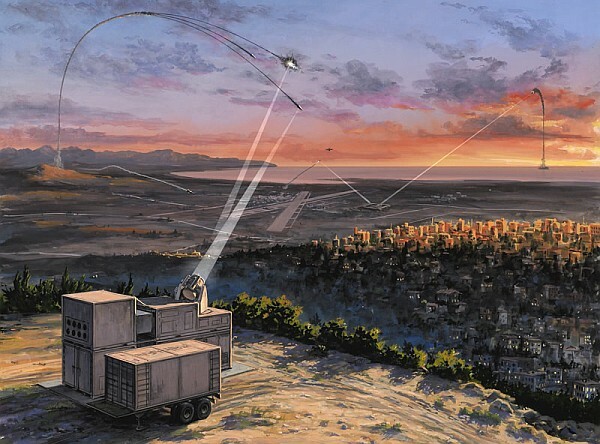 Iron Dome has a short-range radar that measures the locations of rockets as they are fired and some advanced methods for estimating their trajectory. They have to be fast, because it could be 90 seconds from launch to impact. Then they fire an interceptor toward the rocket. The radar guides the interceptor until it acquires the target with its infrared sensor. Then the infrared homes in. The interceptor has to be very rapidly maneuverable. It has to detect wobbles and make final adjustments. Iron Dome is optimized to be efficient and not fire at rockets that pose no threats. But if an interceptor looks like it's going to miss, the system will launch a second interceptor. Iron Dome is part of a huge infrastructure of missile defense systems operating over Israel, costing billions of dollars. The Americans set aside more than $200m to help Israel pay for the system. It uses radar to track incoming rockets, and then fires two interceptor missiles to knock them out. Each Iron Dome battery costs about $50m to install. There are five batteries in operation, with eight more planned by next year. Each interceptor missile costs roughly $60,000. The makers say it is cost-effective because the radar technology distinguishes between missiles likely to hit built-up areas and those missing their target. Only those heading towards cities are targeted and shot down. Israel says it has successfully tested an anti-rocket system developed to protect the country from short-range rocket and artillery attack from Lebanon and Gaza. Rockets of the type fired in recent years at Israel were launched to test the system. The Iron Dome system responded "successfully and in accordance with the objectives of the experiment," stated the Defense Ministry. According to the manufacturer, Rafael Advanced Defense Systems, the system uses an interceptor with a warhead that detonates any target in the air within seconds. The Iron Dome defense system, which was approved in 2007 and was supposed to protect Israel's citizens against Qassam rockets, is not capable of alleviating the distress of Sderot inhabitants. Tests found the system to be effective against rockets fired from more than four kilometers away, but not against those fired from closer range. The fact that Iron Dome is not effective against short-range rockets was long known to the system's developers and to the Defense Ministry officials who chose to focus on it. For some reason, they decided not to go public with their information. Iron Dome is not the solution to the Qassam rockets. The Qassam's speed in the air is 200 meters per second. The distance from the edge of Beit Hanun to the outskirts of Sderot is 1800 meters. So a rocket launched from Beit Hanun takes about nine seconds to hit Sderot. The developers of Iron Dome at Rafael Advance Defense Systems know that the preparations to launch the intercept missiles take up to about 15 seconds. But Iron Dome will also not be able to cope with rockets that are launched much farther away. According to data available from Rafael, the average flight time of the intercept missile to the point of encounter is another 15 seconds. In other words, to intercept a rocket using Iron Dome requires at least 30 seconds. This is the time it takes a Qassam to cover six kilometers. An examination of the economic aspect also casts grave doubts on the decision to choose Iron Dome. The cost of each intercept missile will probably be about $100,000. In contrast, the cost of making a Qassam rocket is well under $100,000. So, if the Palestinians produce thousands of Qassams, the Israel will have to respond with thousands of Iron Dome missiles, at a prohibitive cost. The decision was made, seemingly, via a proper procedure. However, it turns out that the senior staff at the Defense Ministry strongly rejected the proposal to bring into Israel the laser-based Nautilus defense system, whose development is nearly complete and whose effectiveness was proved in a series of tests. Nautilus was developed in the United States in conjunction with Israel, but the Israeli defense establishment ended its participation in the project in 2001. The Americans went on with it, improved the system and changed its name to Skyguard. Northrop Grumman, the company that is developing the missile, promises that it can be delivered within 18 months at a relatively low cost. 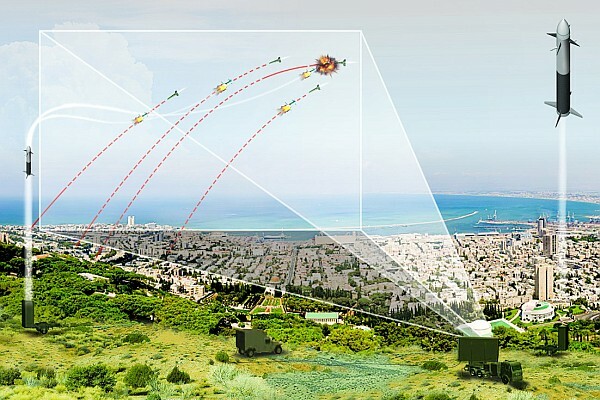 The Skyguard system itself, devised to protect Kiryat Shmona against Katyusha rockets, can be installed in Sderot within six months. By comparison, the development of Iron Dome will take another three years. The major advantage of Skyguard is its use of a laser beam for interceptions. The beam travels at the speed of light, allowing the system to intercept short-range rockets like the ones aimed at Sderot. The cost of implementing the laser system is also far lower than Iron Dome. The cost of launching one laser beam is between $1,000 and $2,000. MK Isaac Ben-Israel (Kadima), a professor and retired major general, who was formerly head of the Defense Ministry R&D directorate, was an advocate of the laser-based system. He continues to advocate a laser-based defense, but believes that the technology in Skyguard is obsolete. Northrop Grumman has developed the Skyguard laser-based air defense system for US government agencies and allies that require near-term defense against short-range ballistic missiles, short- and long-range rockets, artillery shells, mortars, unmanned aerial vehicles, and cruise missiles. Skyguard is derived from the successful Tactical High Energy Laser (THEL) test bed and its predecessors developed by Northrop Grumman for the US Army and the Israel Ministry of Defense. AR North Korea and the Palestinians can never win against Raytheon, Lockheed Martin, Northrop Grumman, Rafael, and the rest of the globalized military-industrial complex.